Rabbi Dovid Twersky was one of eight sons born to Rabbi Mordechai Twersky, the second Rabbi of the Ukrainian town of Chernobil. He was named after his maternal grandfather Rabbi Dovid Leikes who had died nine years prior. At the age of 13 he married Feiga Yenta the daughter of Rabbi Yisroel Avraham of Tcherni-Ostrah. 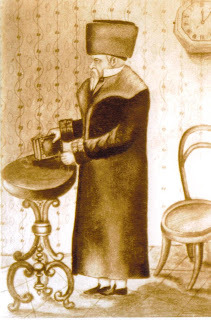 After his father's death Dovid became the rabbi of Vosilkov where many chassidim of his father dwelled. Eventually he moved to Tolna where he lived until he died in 1878. During his lifetime he wrote and published three books. The first one "Magen Dovid" was published while he was living in Vosilkov. The second book was titled "Birchas Dovid" and the third "Kehilas Dovid". R. Dovid had many sons and daughters who died in infancy. His surviving children were one son and four daughters. Rabbi Motel his son, who lived till 30 died five years before R. Dovid but had a son who would fill R. Dovid's position as Rabbi of Tolna. Zisa Chanah Twersky who was married to Rabbi Chaim Mayer of Berdichev. 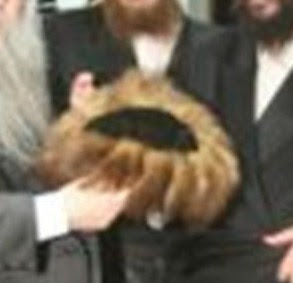 Shaindel Twersky who was married to Rabbi Chaim Menachem of Zinkov and later to Rabbi Mencahem Nochum Twersky of Shpikov the son of Rabbi Yitzchok of Skver. Chaya Twersky who was married to Rabbi Menachem Nochum Twersky of Brisk the son of Rabbi Avroham of Trisk. Miriam Twersky who was married to Rabbi Motel Twersky the son of Rabbi Yochonon of Rachmastrifk. 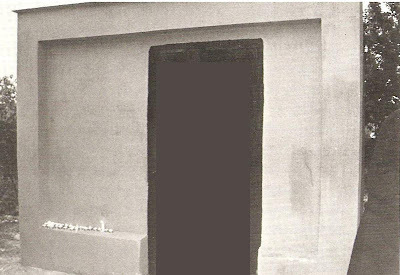 The picture on the left is of Rabbi Dovid's Streimal currently in the possesion of Rabbi Amita Twersky, Tolner Rebbe of Ashdod, Israel. 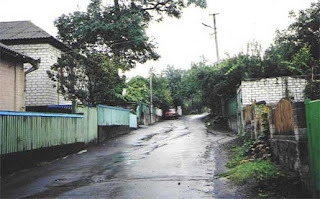 At right is a street seen in modern day Tolna.